Welcome to the web page of St. Petka Circle of Serbian Sisters. / Добро дошли на страницу Кола Српских Сестара Света Петка при цркви Светог Саве у Кембриџу. The Kolo Sisters support parish events, charitable causes and provide support to our youth. These include Badnje Vece, St. Sava Celebration, Easter, Sunday School graduation, Serbfest to mention a few. In 2018 Kolo provided gift cards for for foster teens in Cambridge, a luncheon donation to St. Sava New York and a donation to support the Desanka Maksimovic Choir. We also supported Shadeland Camp and National Youth Conference Scholarships and graduation gifts. In addition, the sisters hold at least one social event per year that provides an opportunity for gathering together, enjoying each other`s company and getting to know new sisters. Thank you to those who continue to volunteer your time and service at our parish events including but not limited to preparing lunches for the regular Sundays and special Church events; decorating the church and hall for special events; attending meetings; cleaning the kitchen or purchasing supplies. We would not be able to have successful events without your help. If you have not volunteered at our events, we welcome you to join an event this year. On October 24, 2010 Kolo celebrated its Patron St. Paraskeva. Stoja Krstanovic and Mirjana Trifunovic served as Slava kumovi. 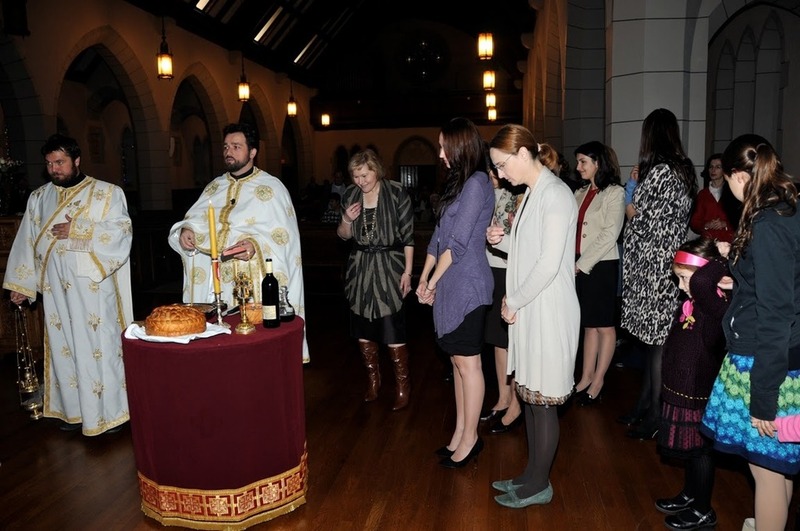 On Sunday, October 25, 2009 Kolo celebrated its Patron Saint Paraskeva. After Liturgy Kolach was blessed and festive lunch was served. Kuma for this year was Marija Ilic who gave piece of Kolach to next year kumovi Stoja Krstanovic and Mirjana Trifunovic.